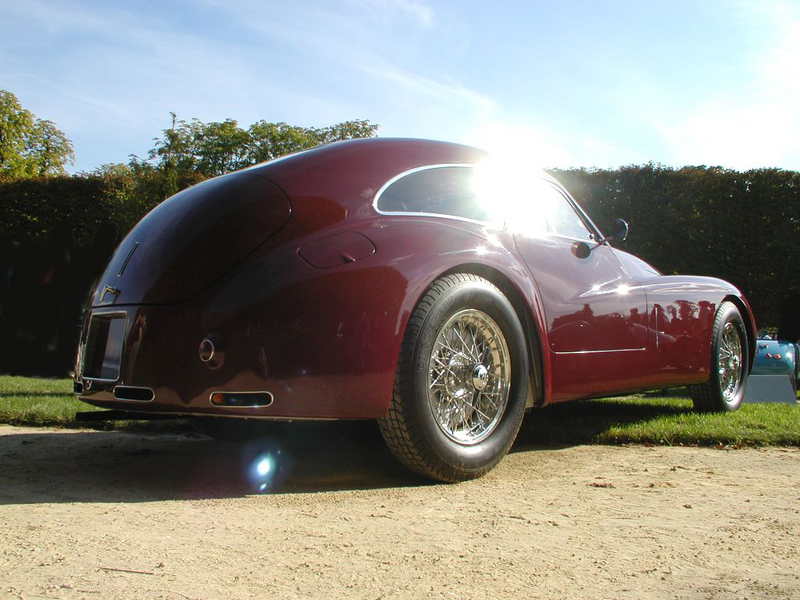 Introduced in 1938, the 2500 (2443 cc) was the last 6C road car. World War II was coming and car development was stopped, but a few hundred 6C 2500s were built from 1940 to 1945. 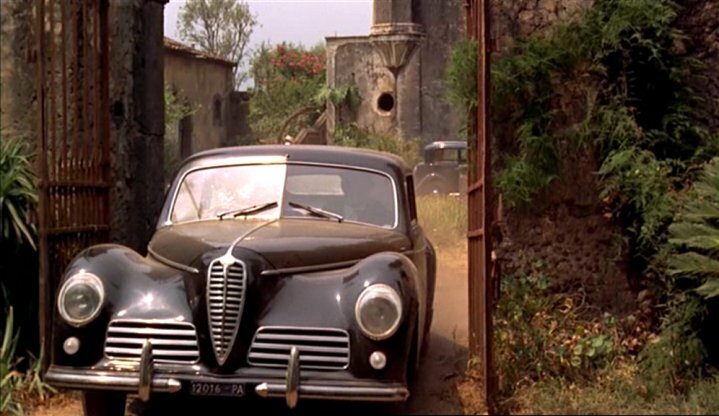 Postwar, the first new Alfa model was the 1946 6C 2500 Freccia d'Oro (Golden Arrow), of which 680 were built through 1951, with bodies by Alfa. The 2500 had enlarged engine compared to the predecessor model, this Vittorio Jano designed double overhead cam engine was available either one or three Weber carburetors. The triple carburetor version was used in the top of line SS (Super Sport) version. The 2443 cc engine was mounted to steel steel ladder frame chassis, which was offered with three wheelbase lengths: 3,250 mm (128.0 in) on the Turismo, 3,000 mm (118.1 in) on the Sport and 2,700 mm (106.3 in) on the Super Sport. 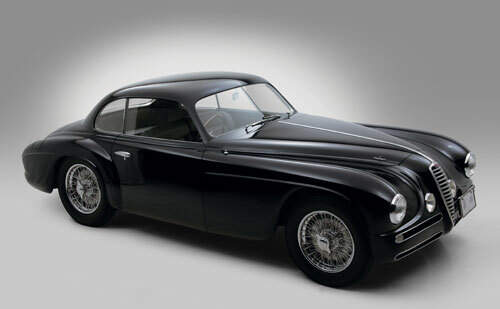 Various coachbuilders made their own versions of the 2500, but most of the bodyworks was made by Touring of Milan. 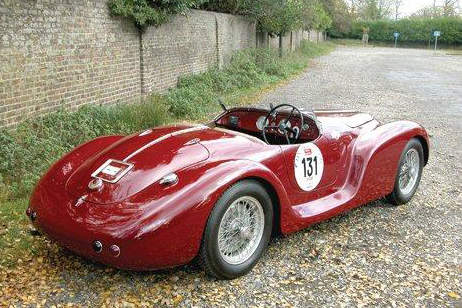 The Tipo 256 was a racing version of 2500 made eight copies between 1939 and 1940 for Mille Miglia and the 24 Hours of Le Mans. It was made as Spider (convertible) and Berlinetta (coupe) Touring bodystyles. With power of 125 bhp (93 kW) it could achieve top speed of 200 kilometres per hour (120 mph). 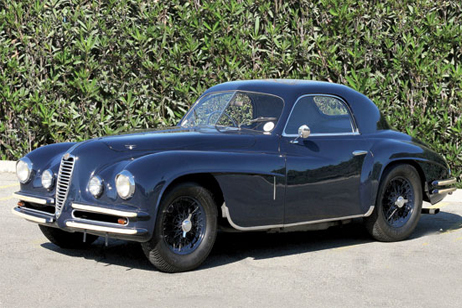 It was sold to wealthy customers like King Farouk, Alì Khan, Rita Hayworth, Tyrone Power, and Prince Rainier. One was also featured in The Godfather in 1972. 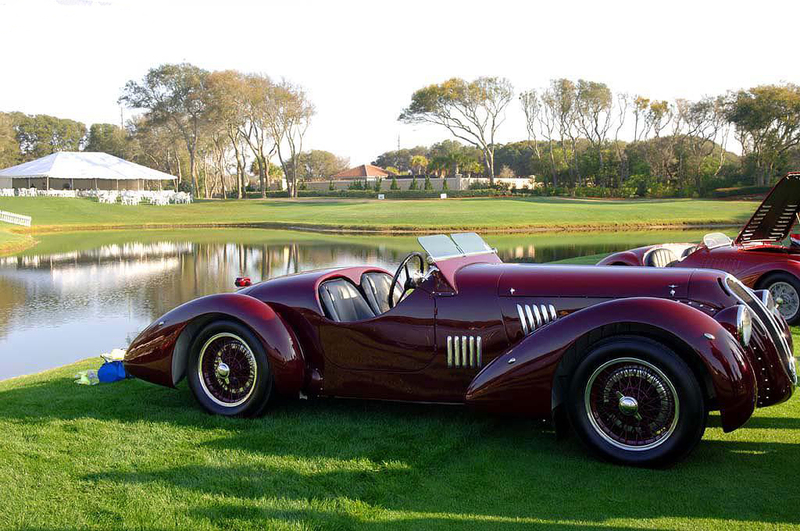 The 2500 was one the most expensive cars available at its own time. The last 6C was produced in 1952, and was replaced by the 1900. The 6C 2500 Freccia d'Oro (Golden Arrow) was the first postwar Alfa Romeo it was built 680 through 1951, with bodies by Alfa. The car was Berlina bodystyle with 5-6 seats based on 2500 Sport. It has wheelbase of 3,000 millimetres (120 in) and it weights 1,550 kilograms (3,420 lb). With 4-speed manual gearbox this 90 bhp (67 kW) car could achieve top speed of 155 kilometres per hour (96 mph). 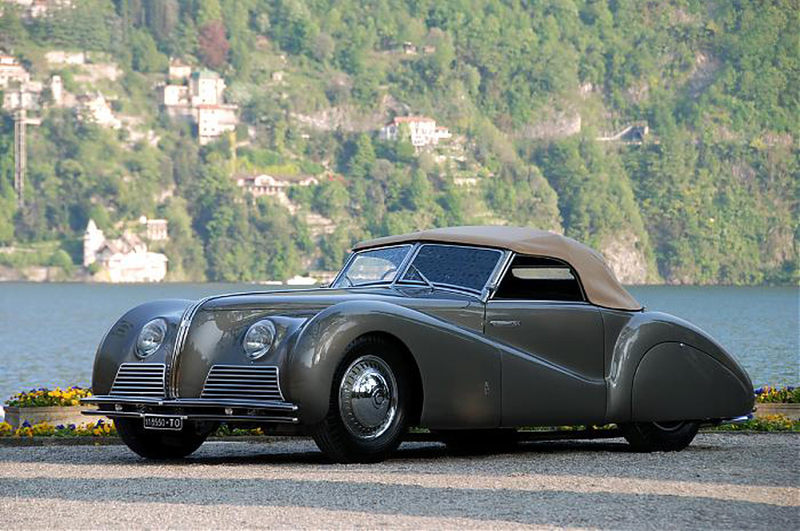 The 6C 2500 Villa d'Este was introduced in 1949 and was produced until 1952, named for the Concorso d'Eleganza held in Villa d'Este; a Touring Superleggera-bodied version won the prize. 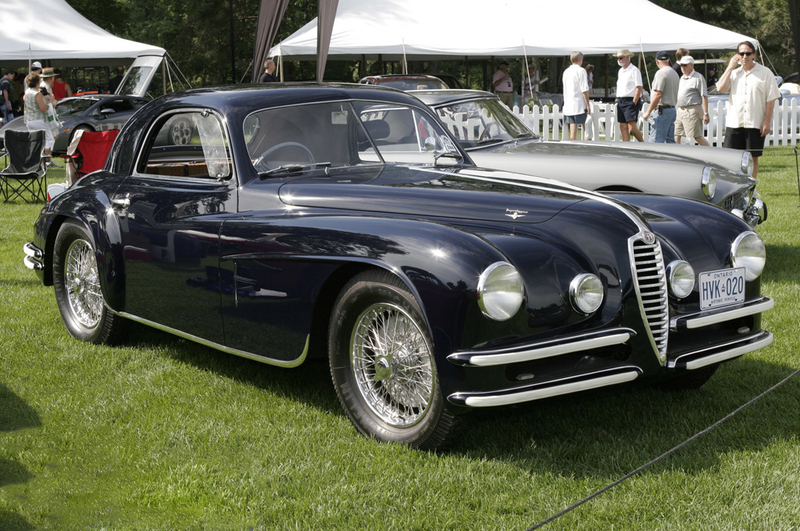 Villa d'Este was Alfa's last hand built model, only 36 examples made (including 5 cabriolets). The 2500 Coloniale was a special version of 6C, used by the highest military authorities and government. 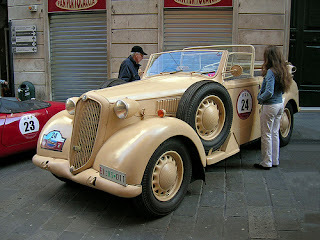 The car was designed by the request of the Italian Ministry of Defense in 1938 for use in the numerous Italian colonies. At that time, the Italians had many colonies in Africa. Two prototypes of the model Alfa 6C 2500 Coloniale were manufactured by Alfa Romeo in 1939. Giambattista Guidotti had been instructed to test two prototypes in East Africa. He had already led an Alfa Romeo 8C 2300B Mille Miglia in 1937. The car will be the first to be manufactured using technology developed by the renowned Carrozzeria Touring, the Superleggera. Actual production began in 1941. The car had two spare wheels, a fuel tank of 120 liters and four additional reserves with a capacity of 70 liters of gasoline. In addition, the differential can be locked from the dashboard by the driver. Production of Coloniale stopped in 1942 due to the war, when 150 vehicles, plus two prototypes were produced. 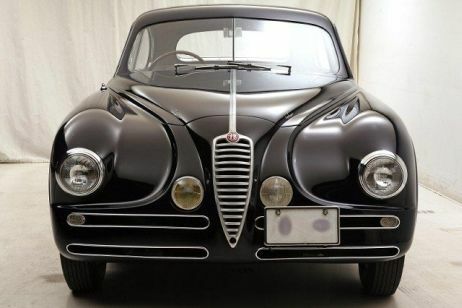 The 2500 Pininfarina was manufactured during the Second World War on the 1943, when “Alfa Romeo” manufacture was adjusted to build technology for the needs of the army. 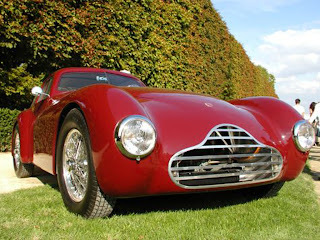 The vehicles of the 1943 make only had their chassis and the transmission parts assembled on the production line, however, the body and interior design was done by the Italian design studio Pininfarina. 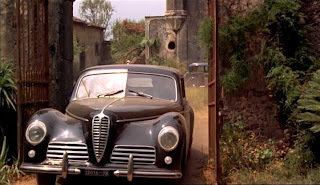 Back to Alfa Romeo 6C. Last updated on 28 February 2014 at 02:44.